Nissan Mazda Suzuki Car Parts - Website of nisbits! We are keen to find exactly what you are looking for. Our team of vehicle parts experts ready to work out, with your cooperation, the right part, first time, so you can get the job done without any fuss. There are so many options and types of vehicle parts that we know how important it is to work together with you to find the best solution. We will always be reliant on the accuracy of the information that you supply, so we can work out just what is needed. Because we specialise only Nissan makes and models, we are able to carry a greater selection of parts for those particular models. We literally have millions of Nissan parts in stock at any given time. We work closely with the best local couriers and national freight companies to deliver car parts to your door as fast as possible. 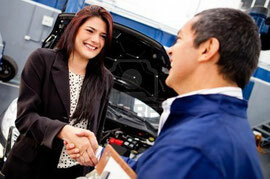 All vehicle parts, unless stated otherwise, will be warrantied to perform the tasks for which they are intended. All vehicle parts are sold with a specified and limited warranty period, which will vary depending on the part you purchased. If any part is found to be defective, please notify us immediately.